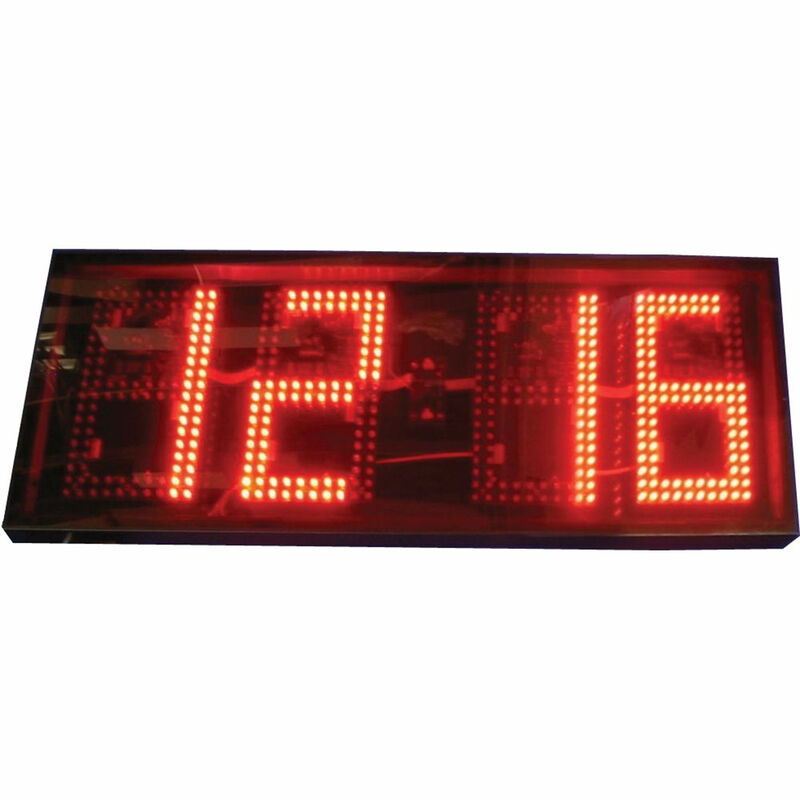 The Alzatex Inc. DSP1004B 4-Digit Display with 10" High LED Digits features bright red LEDs in a metal enclosure. With additional accessories (sold separately), this unit can function as a remote display, count up or count down timer, or as a counter. This unit also includes a connector for connecting multiple devices together. This display can be wall mounted or hung from hooks (using D-rings; sold separately). Using a handle and feet (sold separately) the display is also suitable for portable use. 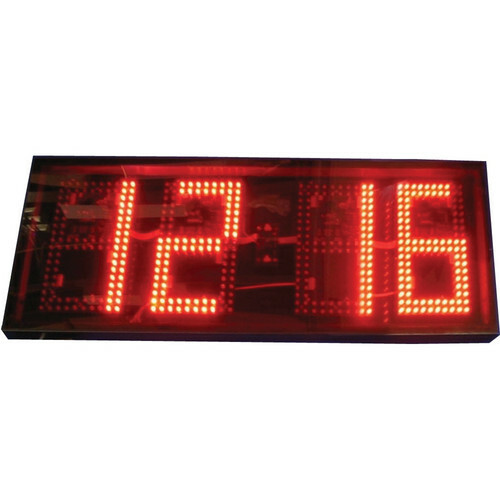 This electronic digital numerical display unit is designed to display time remaining or time elapsed; it can also function like a time-of-day clock. This unit can display production data, tally count, scores, or any other numeric data. It can also display limited alphabetic characters. Box Dimensions (LxWxH) 27.0 x 15.0 x 2.5"